The Cascade Series TEAs are designed with custom multistage thermoelectric modules to achieve a high temperature differential. This product series can produce up to 40% more cooling capacity at cold temperatures, surpassing standard product offerings with similar form factors. ? The DA Cascade Series is an?Direct to Air thermoelectric assembly (TEA) that offers dependable, compact performance by cooling objects via conduction. Heat is absorbed through a cold plate and dissipated thru a high density heat exchanger equipped with an air ducted shroud and brand name fan. 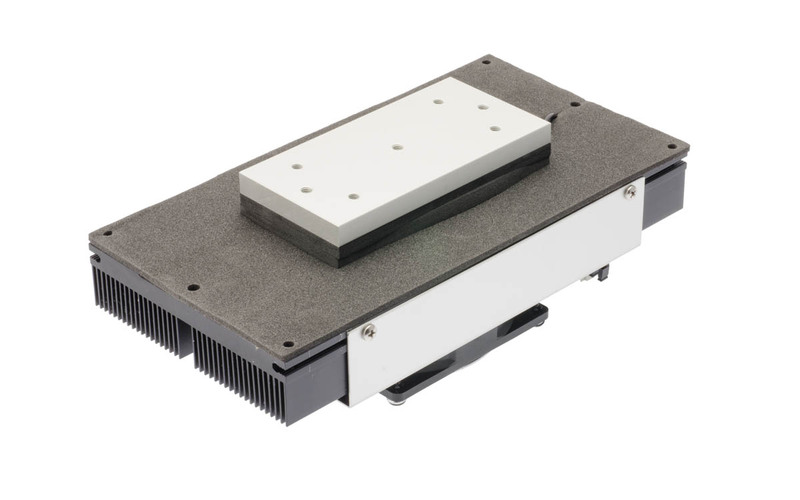 The heat pumping action is created by thermoelectric modules that are custom designed multistage cascades to achieve a high temperature differential, which allows this series to reach colder temperatures than standard DA product offerings. Custom configurations are available, however MOQ applies.